The Fleetwood Flair is a value packed class A motorhome with plenty to offer both new and experienced RVers. 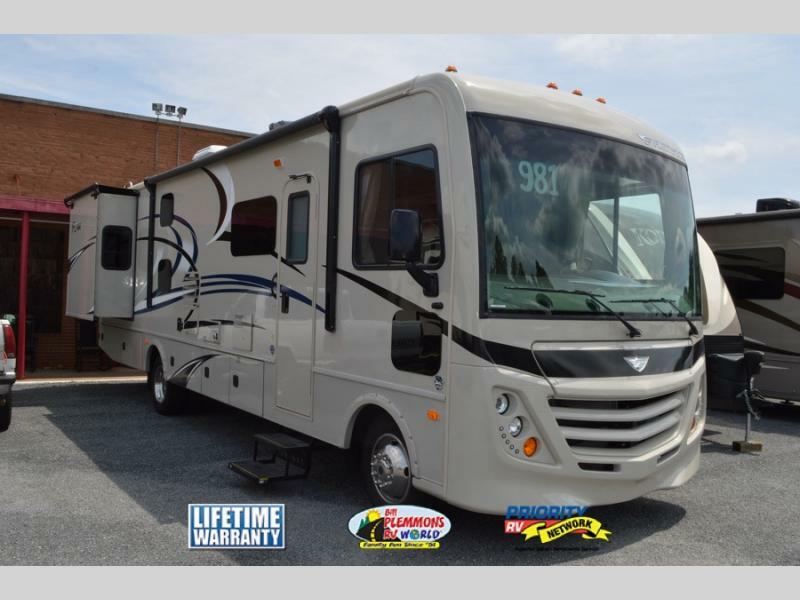 This well built motor coach is available in a number of popular floorplans, all of which are designed to please. Take a look in this Fleetwood Flair review. 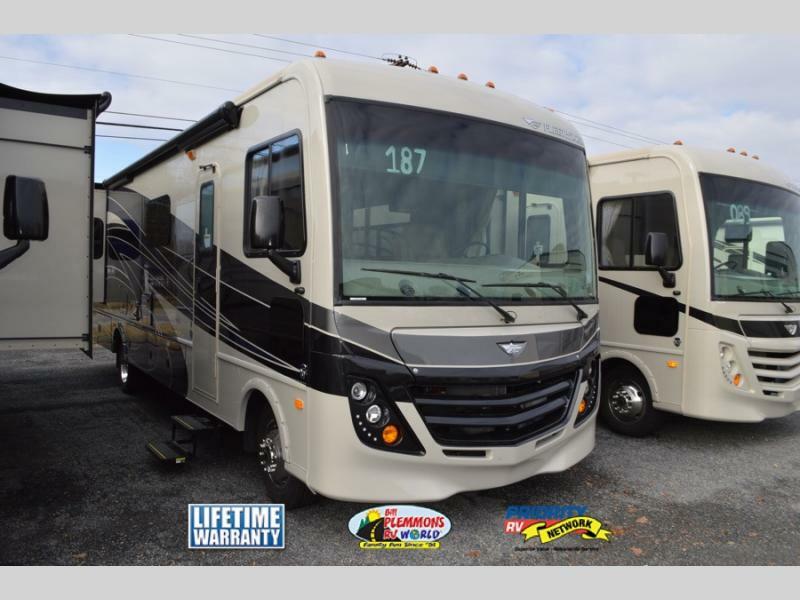 Here, we’ll take a look at the wide variety of Fleetwood Flair RV Models available at Bill Plemmons RV. In addition, we’ll highlight some of Flair’s unique, user friendly features. For starters, the Fleetwood Flair has full basement pass-through storage which allows you to pack all the gear you need for your trip. Inside, you will find even more storage space located all throughout the coach, including under the master bed, beneath the dinette, behind the TV and in the massive bedroom wardrobe. In addition to a large amount of storage space, all Fleetwood Flair floorplans include a hide-a-loft drop down bunk over the driver’s seat. This extra bed provides a convenient sleeping space for guests or friends and family. The Flair 31E bunkhouse floorplan is ideal for large groups of travelers with sleeping space for up to 8. 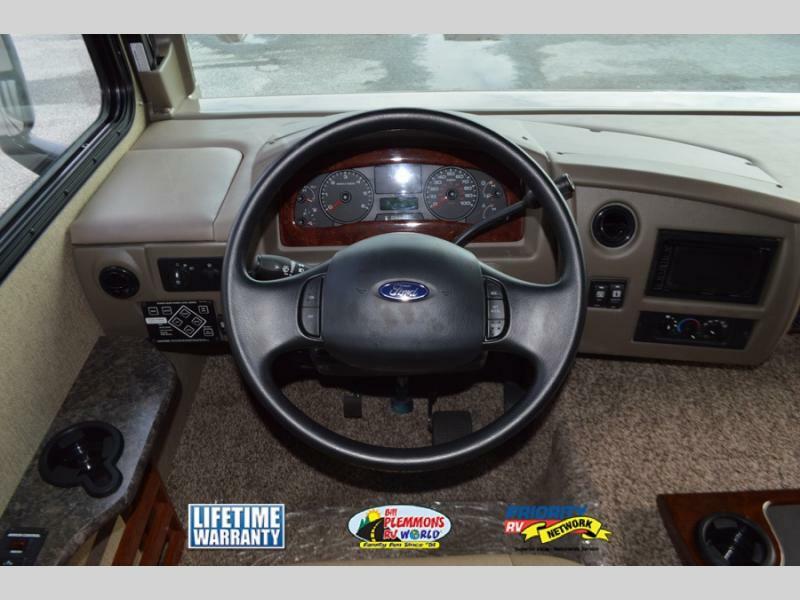 The Fleetwood Flair provides excellent visibility for the driver thanks to the huge one piece front windshield, passenger side safety window, heated side mirrors and rear camera. The stylish frameless windows give the exterior a sleek and modern appearance. 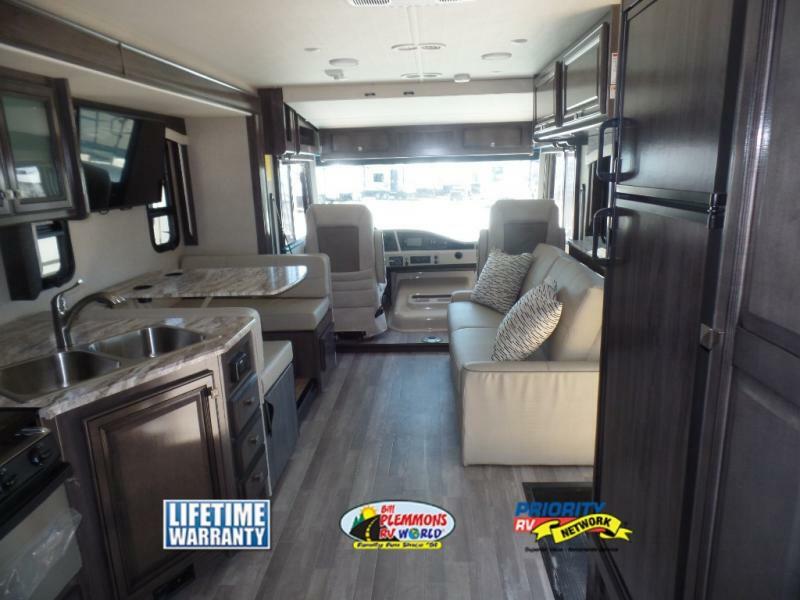 The Flair’s interior design is top notch with a soft touch ceiling, under cabinet lighting, a porcelain toilet, and the well padded dream dinette. Luxury accents such as these really set the Flair apart from other motorhomes in it’s class. For added pizzazz, check out the upgraded Flair LXE models with a high gloss gel coat sidewalls and eye catching vinyl graphics. Turn heads while cruising down the highway to your next fun destination! For a step up in Class A Motorhome quality and value packed comfort, the Fleetwood Flair is an excellent choice. Contact Us At Bill Plemmons RV World for a personal tour or test drive of one of our Flair RVs on Sale!